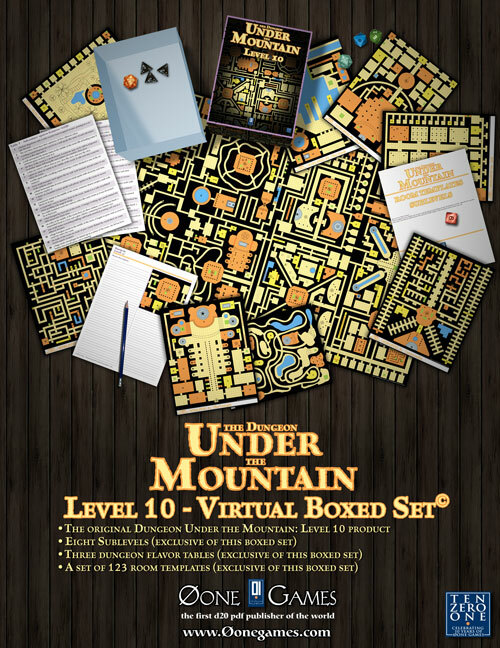 The Dungeon Under the Mountain: Level 10 - Virtual Boxed Set© is a deluxe edition of the The Dungeon Under the Mountain: Level 10, containing extra material you will not find in the original product. The entire map set in this series is absolutely amazing. The ..